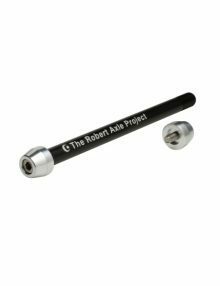 Designed for bike shops and bicycle fitters, our Trainer Thru Axle Fit Kit contains every thing you need to fit any road, cross or mountain bike with a 12mm thru axle on a wheel-on trainer. This fits all fat bike hub standards: 12×177 and 12×197. 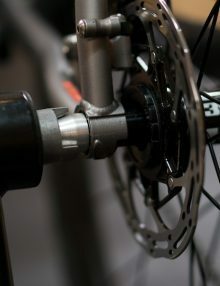 This Trainer Axle is designed to adapt any thru axle equipped fat bike with to wheel-on trainers. Please note many wheel-on trainers will not work with such wide axles. Be sure to measure your fit station or trainer to ensure that these axles suit your needs. Each axle measures 250 mm from tip to tip. These are not intended to for direct-drive trainers. This kit is intended specifically for: fit studios, bike fitters, bike shop fit stations and cycling coaches. 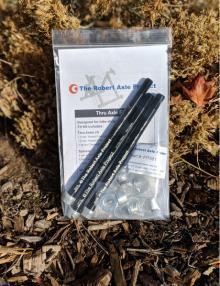 This axle kit (of 3 axles) is shown at wholesale pricing as this item is not intended for retail consumers. Please contact us for further discounts if you are seeking to purchase quantities greater than 10 kits. See our road, cross and mountain trainer fit kits here. 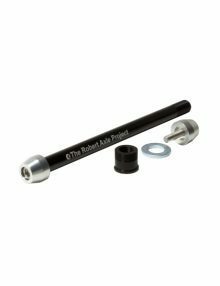 This kit includes three axles and all the spacers and proprietary thru axle adapters need to get any 12mm thru axle equipped road, cross or mountain bike on a trainer. These 12mm Trainer Axles are designed to adapt a 12mm thru-axle equipped fat bike to your wheel-on trainer. These are compatible with all the popular trainer brands: 1up, Blackburn, Cyclops, Kinetic, Tacx, Wahoo and more. The axle is installed with a simple 5 mm hex/allen key. 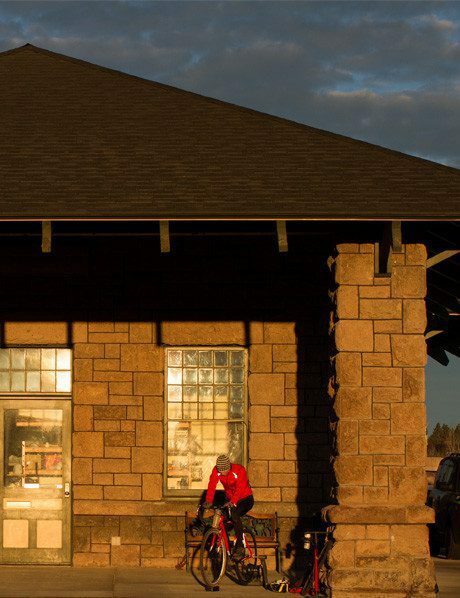 Important: Before you order, make sure your specific trainer will accommodate the width of a fat bike hub. All three of these axles measure approximately 200 mm from tip to tip. One 1.0 fine threaded axle with an axle shaft length of 229 mm. We include spacers to reduce the effective length of the axle shaft down to 217 mm. X-12 tapered spacer included. One 1.5 mm threaded axle has an axle shaft length of 229 mm. 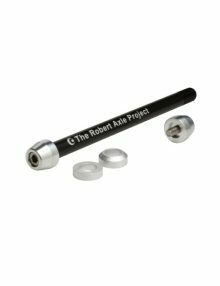 We include spacers to reduce the overall length of the shaft down to the 217 mm. One 1.75 mm threaded axle has an axle shaft length of 229 mm. We include spacers to reduce the overall length of the shaft down to the 217 mm. Please note: Thru-axle lengths do not equal hub standards. An axle has to be longer than the hub to fit in the frame. A 12×197 hub does not equal a 197 mm long axle. All our products are designed, built and quality tested in the USA. And have been proven around the world. 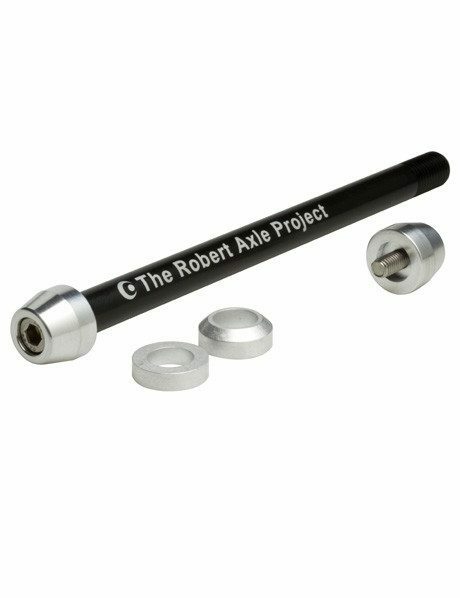 Designed for bike shops and bicycle fitters, our Trainer Thru Axle Fit Kit contains every thing you need to fit any road, cross or mountain bike with a 12mm thru axle on a wheel-on trainer. This fits all hub standards: 12×135, 12×142 and 12×148 Boost. We have even sorted out proprietary axle designs from NAILD and FOCUS RAT axles. 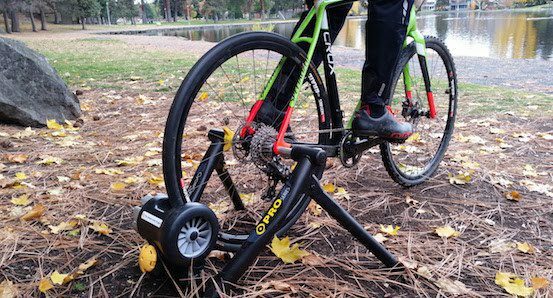 This Trainer Axle is designed to adapt any thru axle equipped bike with any wheel-on trainer, such as a 1up, Blackburn, Cyclops, Kinetic, Tacx, Wahoo and many other trainers. These are not intended for direct-drive trainers. See our Fat Bike Thru Axle Fit Kit also.